Yesterday I was standing in the kitchen at International house talking to Tashimi, one of the women working here. We talked about the weather; I guess some subjects are topical in all languages. In the local language Tamil sun is called sury, when speaking about mare Tashimi meant the rain. But when I asked her how you say snow in Tamil, she looked confused, did not know what I was talking about. Understandable though Auroville has 300 days of sun, and the temperature never go below 24 degrees °C. A word for snow is not particularly needed here. In an intercultural communication perspective it is interesting to see the how the local language and how the people living here are adapted to the life in south India. The words spoken exist for a reason, they explain and communicate the place where they were found and the place where they are spoken. Also practical things are adapted to and even built for this place. As for example how the light switch is installed on the outside of the door, instead of on the inside, as it is in Sweden. This because then you are able to see if there are any snakes inside before you put down your foot down on the toilet floor or stretch your arm after the light switch. There is even a non-vegetarian section in most of the restaurant menus’, because here it is an exception to order meet and not vice versa, as many of us from the western world are used to. 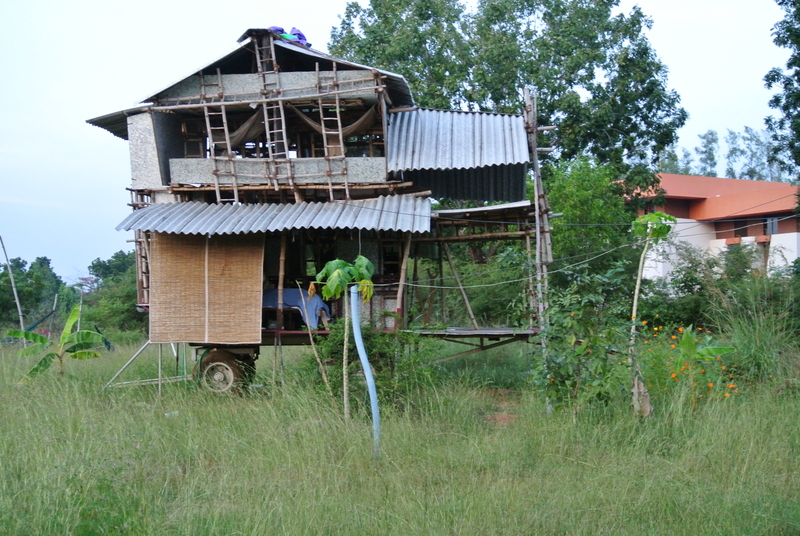 People in Auroville are really skilled at make use of what they got. For example by upcycling already use material to beautiful and useful things and using solar energy. Because of the unreliable grid in Tamil Nadu, there are more advantages using solar energy than just for the environmental sake. To let solar energy stand for the majority of your power supply, you get a more reliable supply of electricity to your house without reappearing unexpected power cuts. Through my experiences in Auroville I have also seen examples of how it can be when it is the other way around. What can happen when we are not paying attention to the environmentally conditions. 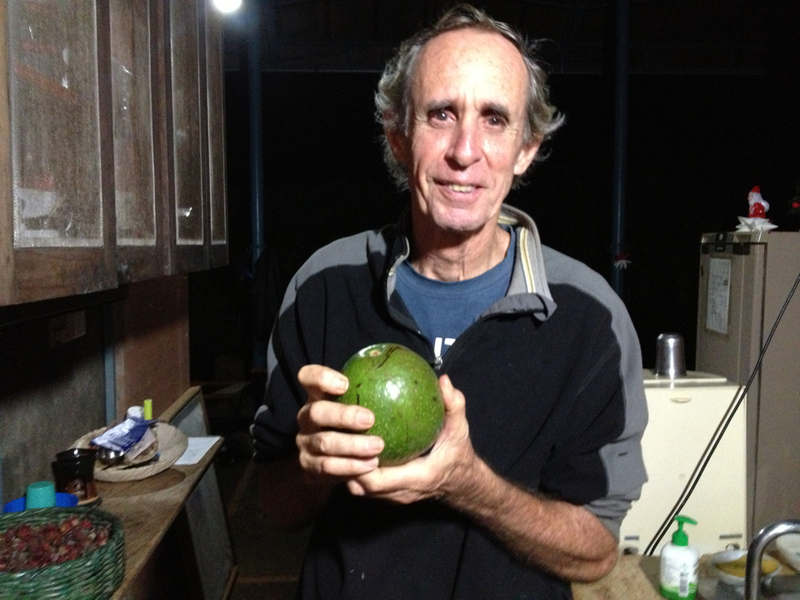 The cyclone last year opened the eyes of people working with the Auroville forest. It reminded the people at for example the forest Putchandiculum they planted the wrong things, the trees were not suited to grow here. One the workers at the forest said a beautiful thing, that can summarize this post; “The trees suited, help you live in that area”.